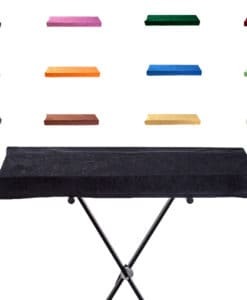 High-quality keyboard dust cover for E-MU Xboard 25 dust cover. Available in Microfibre, Polyester or Synthetic Leather. High-quality keyboard dust cover for E-MU Xboard 49 dust cover. Available in Microfibre, Polyester or Synthetic Leather. High-quality keyboard dust cover for EMU Drumulator . Available in Microfibre, Polyester or Synthetic Leather. High-quality keyboard dust cover for EMU E Max . Available in Microfibre, Polyester or Synthetic Leather. High-quality keyboard dust cover for EMU E Max 2. Available in Microfibre, Polyester or Synthetic Leather. High-quality keyboard dust cover for EMU Long Board 61. Available in Microfibre, Polyester or Synthetic Leather. 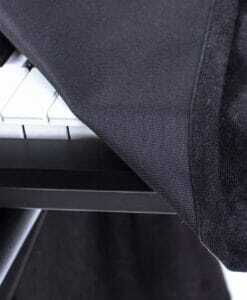 High-quality keyboard dust cover for EMU Short Board 49. Available in Microfibre, Polyester or Synthetic Leather. High-quality keyboard dust cover for EMU Sp 12. Available in Microfibre, Polyester or Synthetic Leather. High-quality dust cover for EMU SP 1200. Available in Microfibre, Polyester or Synthetic Leather.